Workforce Solutions of Northeast State is sponsoring eight-week classes in beginner and Level II American Sign Language (ASL) starting in August. The beginner class covers basic to intermediate signs and helps participants think in ASL terms, allowing for proper usage. The beginner class is scheduled from 6 p.m. to 8 p.m. on Aug. 27; Sept. 3, 10, 17, 24; and Oct. 1, 8, 15. Classes will be held on the College’s Blountville campus in the Locke Humanities Building, Room H153. Instructor for the course is M.J. Light who holds a National Interpreter Certification. Cost for the class is $80.00. The registration deadline is Aug. 13. The Level II course takes basic vocabulary and grammar and hones it into a solid base for language competency. At the completion of the course, students should be able to navigate more fluidly through facial expressions, non-manual markers, vocabulary, and content. The Level II class is scheduled from 6 p.m. to 8 p.m. on Aug. 25; Sept. 1, 8, 15, 22, 29; and Oct. 6, 20. Classes will be held on the College’s Blountville campus in the Locke Humanities Building, Room H153. Instructor for the course is M.J. Light who holds a National Interpreter Certification. Cost for the class is $80.00. The registration deadline is Aug. 11. Upon the completion of these courses, students will have a better understanding of Deaf history and culture as well as up to intermediate communication skills. To register, contact Diana Harrison at 423.354.5520 or workforce@NortheastState.edu. Workforce Solutions of Northeast State is sponsoring a seminar on Dec. 5, 2014 focusing on the requirements for compliance with the 2015 edition NFPA 70E and the electrical arc flash hazard. Understanding the definition of arc flash, along with video footage of actual arc flashes, will help participants understand this hazard. Arc flash calculations will be covered, as well as selection of proper personal protective equipment (PPE) to allow qualified persons to safely work within the arc flash boundary. Insulating voltage-rated tool and glove requirements will be discussed. Training for electrical workers and the Energized Work Permit will be covered. Techniques and ways to “engineer out” the hazard of arc flash will also be discussed. 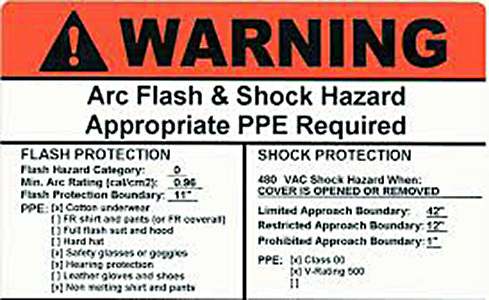 Arc Flash is an avoidable hazard. Who should take this course? Individuals interested in furthering their electrical training. For assistance with registration or additional information, please contact Diana Harrison: dlharrison@northeaststate.edu or 423.354.5520. There’s an Android app for that at Northeast State. Northeast State’s Workforce Solutions will offer an eight-week short course on basic Android app development from 6 to 8:30 p.m. Tuesdays from Sept. 30 through Nov. 18. The course will be taught at the Kingsport Center for Higher Education, 300 W. Market St. in downtown Kingsport. This course is well suited for individuals looking to gain an understanding of the process required to create an Android app including hardware capabilities, software design, development of graphics, and writing code. Each participant will develop his or her own app for personal or professional use. To receive a certificate, participants must be present for 80 percent of the course, complete all homework assignments, and develop a functional app. 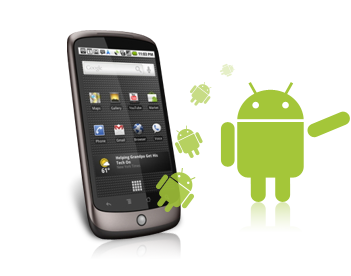 9/30 – Introduction to Android: Participants will learn about the Android operating system and the various hardware types used through the Android ecosystem. 10/7 – Functional Planning: Participants will sketch out the function of their applications through the use of flow charts, storyboard, and mind mapping. 10/14 – Mock-up/Sketching: Content is geared toward the aesthetic design of the application. Tools will be used to develop a graphical representation of the app and aesthetic elements will be created. 10/21 – Overview of Eclipse: Participants will start exploring the Eclipse IDE and the technical process behind coding for Android development. 10/28, 11/4, 11/11 – App Coding: Participants will continue using Eclipse to developing their applications. 11/18 – Fit and Finish: Participants will complete their app and fine tune remaining details. A discussion of app store submission will take place. The cost of the course is $195 and the registration deadline is Sept. 22. Students may register online at www.northeaststate.edu/workforcesolutions or contact Diana Harrison at 423.354.5520 or dlharrison@NortheastState.edu. The Workforce Solutions department at Northeast State will present an official OSHA 30-hour General Industry course on safety and healthy work practices Aug. 26-29. The course is ideal for any professional responsible for employee on-the-job safety and health work practices. This course provides successful participants with four days of information on current topics in occupational safety and health as enforced by the U.S. and state Occupational Safety and Health Administration (OSHA). Course completion cards will be awarded from the OSHA National Training Institute to each student completing the course. Attendance at all four classes is required to receive the card. The course will meet Aug. 26 – 29. Course hours are: Aug. 26 – 28, 8 a.m. – 5 p.m.; and Aug. 29: 8 a.m. – 3 p.m. The class will be held on the College’s main campus at Blountville. Course fee is $399 including books and all study materials. This course is offered in conjunction with Tennessee OSHA (TOSHA). For reservations, contact Diana Harrison at 423.354.5520 or dlharrison@NortheastState.edu. Workforce Solutions at Northeast State has announced upcoming Six Sigma opportunities. The classes are scheduled to start the week of Aug. 19, 2014 and run for approximately 20 weeks. 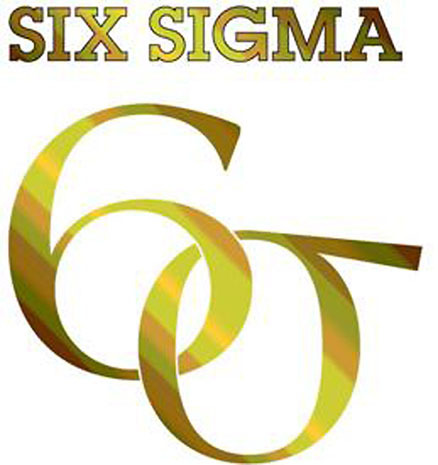 All Six Sigma training will be held on the College’s main campus in Blountville, Tenn., 2425 Highway 75, adjacent to Tri-Cities Regional Airport. These classes are a combination of evening classes held from 5:30 – 8:30 p.m. and day-long sessions from 8 a.m. – 4 p.m. Course requirement: you MUST have at least MINITAB 15 with 16 being preferred. Training provides in-depth knowledge of all the tools in Six Sigma Methodology. Upon completion, participants will be fully prepared to take on the role of Six Sigma Black Belt. The class provides mastery of all five phases complimented by the best training materials available including, but not limited to; project selection, measurement system analysis (MSA), basic stats, capability, inferential stats, hypothesis testing, normality, and design of experiments, control plans, and PFMEA. This training provides an opportunity to upgrade previous Six Sigma Green Belt training by local Six Sigma professionals. As part of the overall Spring 2013 Six Sigma curriculum, participants will need to attend as few as 61 hours of classroom instruction. Upon completion of these classes and an approved project, the Green Belt will become Black Belt certified. Green Belt training provides hands on training and the opportunity to assist organizations in the roll out and use of the Six Sigma Methodology. The class will go through the full DMAIC process with emphasis on: project identification and management, proper project documentation, introduction to statistical tools and analysis, introduction to Minitab, root cause analysis, quality management, and introduction to DOE and control methods. Note: The above costs will include all necessary training material but does not included Minitab software. To register or for additional information, contact Diana Harrison at 423.354.5520 or dlharrison@NortheastState.edu.